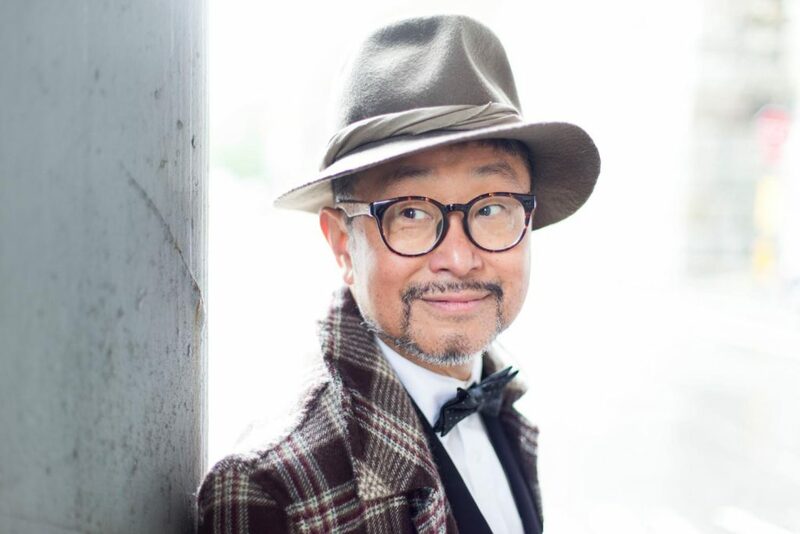 Senri Oe is a former superstar pop artist from Japan (big in the 80’s and 90’s), who is now a jazz artist based in the U.S…he did a 180 on his career and decided to come to the States to study jazz in NYC at School of Jazz at New School, and become a jazz performer. His new album, BOYS & GIRLS was released on August 5th and he just finished a project with Janis Siegel of The Manhattan Transfer as well. 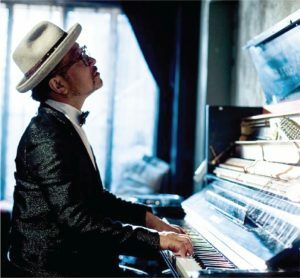 BOYS & GIRLS, Senri’s first pure solo piano collection, connects the distinct eras in his career as a former Japanese superstar artist in the J-Pop arena, and his current career as a jazz artist. 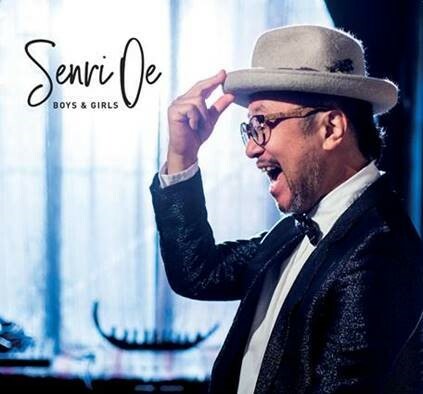 With the new release, Senri brings fresh jazz energy by re-imagining some of his classic pop hits from the 80’s and 90’s. 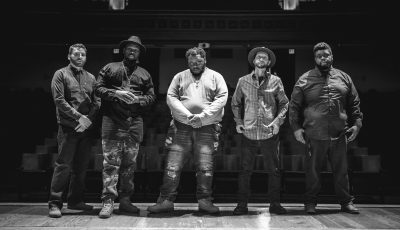 The album also includes two new compositions which reflect a limitless creative future in the genre he has embraced since he shifted gears and moved to New York to study jazz in 2008. BOYS & GIRLS was co-produced by Senri and longtime mentor Junko Arita, a veteran recording and concert producer; and international conductor who was his teacher when he attended the School of Jazz at The New School. Also a Japan native, Junko was familiar with Senri’s pop star history, and was a guiding force as Senri endeavored to create a balance between pop and jazz. Since the 2012 release of his PND Records debut BOYS MATURE SLOW, Senri gained critical acclaim for his adventurous piano style and ability to ensemble in a multitude of unique settings. His follow-up titled SPOOKY HOTEL featured arrangements performed by a full big band. 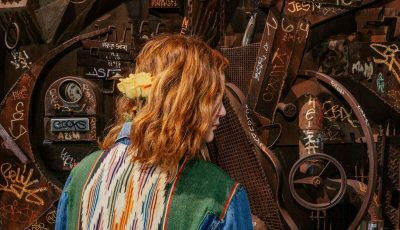 Senri’s discography also includes COLLECTIVE SCRIBBLE; and ANSWER JULY, which found him performing with renowned jazz vocal greats Sheila Jordan, Theo Bleckmann, Becca Stevens and Lauren Kinhan of the GRAMMY® winning vocal ensemble New York Voices. Overall, how do you think 2018 has been treating you and your career? I successfully finished my World Premier show in L.A. in August, and am now heading to The Detroit Jazz Festival, Regattabar in Cambridge….so far, my jazz career seems be going very well. What has been one goal that you have had this year and how close are you to reaching it? Or did you already reach it? I reached my goal when I released my new album, “Boys & Girls,” on August 5 — which interprets my Japanese pop tunes into jazz ones. It’s a very fun album. This is what I have wanted to do for so long, and now I am beginning a U.S. tour in the middle of my dream. Yes, definitely! I remember loving music since I was a child, and I’ve never lost my passion and love towards all types of music. Music is inspiration. Music is power which has helped me overcome my difficulties. Music is remedy which has made me more brave. Music is my light, my oxygen, my seltzer and my best pillow to make me dream the nights away. Music is always beside me. When I was three, I began classical piano lessons and learned from a young female teacher. She tried to get me to improvise music at the end of my lessons by thinking about things like a salad I liked, cookies, watermelon, my favorite book, and more. This training was so unique, and it helped develop my creative abilities. It was such an important part of my musical training. Can you see yourself ever doing anything else? No, I honestly can’t. I wanted to be a pianist, a composer. It was my childhood dream that has come true. The biggest surprise is still having the energy to keep on making music. This is most wonderful surprise — and it’s a gift to me. Life in itself is always an unexpected, or welcomed challenge for me. In 2008, I came to the U.S. to enter the music conservatory to learn jazz theory and to perform at The New School for Jazz and Contemporary Music. However, I learned “Old School” there: Charlie Parker. After graduation in 2012, I launched my own jazz label, PND RECORDS, after my dog ‘Peace’ (we came together from Japan) – for “Peace Never Dies”!! I released four jazz albums, and now I’m trying to expand my career more widely to the world. This was very unexpected 11 years ago. Hometowns make us brave all the time. My music core — rhythmic feeling, harmonic ideas — were already formed in my hometown of Osaka. I lived in the deep south of Osaka where we have Kawachi-ondo (Japanese folk songs that originated there). Every summer, everyone made a circle and danced together with Kawachi-ondo. I am still feeling that. Now, I have lived in Brooklyn, New York for more than seven years, and in Brooklyn’s daily life — noise, people singing, rapping, all the elements on the street — makes me feel excited, indignant. This energetic and powerful circumstance makes my eyes open continually to create something new. I am curious to know what first convinced you to completely switch gears and go from being a pop artist in Japan to wanting to move the US and become a jazz musician? When I saw myself in the show window at age 47, I wondered who I was. That guy in the window was not smiling, and he wanted to fly to the next chapter of his life. Around that time, one of my friends passed away. I started to think about my life. Life is short and limited. My career was going well, but I thought I would like to live and challenge myself in the second chapter of my life. And that is all about jazz. My first encounter with jazz was when I was 15 years old. I was a young member of the YAMAHA COMPOSING CLASS in downtown of Osaka. On my way back home, I stopped by the jazz vinyl store to check out some records where I met Chris Conner, Winton Kelly, Bill Evans, Thelonious Monk.…..that was a first impressionable experience to have wonder for jazz music. Shortly after that, I started to study jazz theory, but I quit, because I got a huge opportunity to debut from Epic Sony Japan as a pop singer / songwriter. So jazz was always there on my mind. I never ever forgot jazz music. Do you recall the moment where you decided to make this big change? Was it everything that you thought it was going to be like? I totally remember that time. 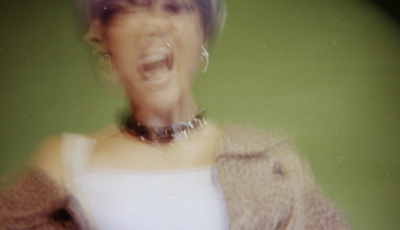 My life as a pop singer seemed so good, but I wasn’t happy. I remembered jazz, and tried to take a test of The New School and I got the approval. I only had three months to downsize my life after I passed the school. I threw out everything I had, and came to New York on January 10, 2008. I thought I knew jazz, even a little bit. But on orientation day, I felt far away, after having a session with other young jazz cats. I did not know anything. At last, it took four and half years to graduate from school. What was the inspiration for your recently released album, “Boys & Girls”? I debuted as a jazz pianist in 2012. I released four albums: quintet, Big Band, trio and a vocal album; and my new challenge reached to solo piano style. “Boys & Girls” has an interesting point of view of my pop music that I wrote before it met my jazz arrangement. In other words, my jazz meets my standards pop. Now I feel somehow like I’m an interpreter who standing between both sides of music. I have experienced both sides of music, so I thought both types have strong features, personalities. I didn’t want to reduce both characters; pop tunes have a catchy established melodic lines. On the other hand, Jazz has a lot of harmonic concepts, rhythmic complex, meter, mode, scale, displacement, subdivision…so it is an enjoyable experiment to mix them up and make a creative new thing. I shadow and follow the original Japanese pop form, but try to narrow it down a bit to the U.S. jazz standard form. The sensitive balance of pop and jazz is my recipe of music that I call ‘Senri Jazz.’ “Boys & Girls” is my first try at pop meets jazz, jazz meets pop. For long time, I forgot about how much I love pop music…with the recording of this album, I realized that. How did you go about selecting the songs that you would re-imagine on this album? It’s simple. I was like a curator, making a brand new standard tunes album. I chose many of my hit tunes that are familiar to my generation of fans. Some songs turned out to be difficult to alter from pop to jazz, because there are lot of differences — jazz and pop rhythmic notations, tension chords, modes, scales, rhythm meters, sub divisions. Finally, I narrowed them down. The conclusion is that I made beautiful music again. We are currently living through a very trying and politically charged time right now, so I am curious to know how your own music is reflecting this time period or is your music an escape from all that? In some ways, this question is very positive, because nobody knows what is going on in the right direction. You Tubers seem to grab entire markets. Record companies are fading away. Now is chaos time for artists who have concrete visions for the future. But as you say, we can always reflect music to time, even though it might a tiny step. Music is always powerful, energetic and simple, faithful. I believe it never dies. Yes I would say everyone has influenced by this climate. As a composer, Thelorious Monk; as a pianist, Bill Evans. Bach — because Bach is the best ever. This is too hard to answer because I am a crazy movie fan. I can’t select one. However, any suspense movie would work! Feeling peaceful, serene and generously happy!